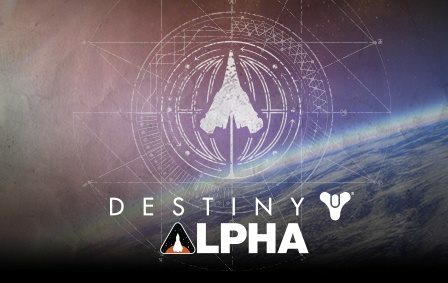 Posted on June 19, 2014	by Derek "Gamer Crash"
After playing the Destiny alpha this past weekend, I’ve really been struggling to organize my thoughts into something cohesive and human readable. Destiny is a game I’ve been looking forward to for a long time coming from veteran studio Bungie which promises to marry first person shooting, RPGs, and MMO elements into one massive package. Needless to say, expectations were high for this one. Getting my code, I logged in and created an Exo Hunter ready to begin my career as an alien vanquisher. Before I dive into my thoughts, let me just say that we have to remember this is an alpha build of an enormously ambitious title. Everything I’m about to talk about could very well change in some capacity over the remaining months. Things could also have been held back for testing purposes, we just don’t know for sure. Destiny drops you without much context into Old Russia, which is a zone that has been covered previously at last year’s E3 and through impressions from journalists. It’s really a lot to take in as nothing is explained to you. The game is absolutely massive in scale and it was very easy to feel lost at first trying to gain a sense of what does what, what these symbols mean, and how to do certain things. Since you’re character starts at level 4, I’d have to assume that the main game will ease you into this world a little better. My first impressions upon setting foot in Old Russia were more on the disappointment side of things. Being a brand new IP, I guess I kind of had high expectations for an experience that was completely fresh and unlike anything I had played previously. That didn’t turn out to be exactly the case. Gameplay wise, it felt like Halo. There was just a sort of spark missing from the combat initially. Grenades were on a cool down timer and ammunition was plentiful. Loot, however, was not. I’m not sure what exactly I was expecting but being a game centered around gear, I kind of expected more drops and chests to plunder. Maybe not to the level of Borderlands, but I did expect to have to manage my inventory in some capacity. There’s a ton of armor/gun/accessory type options based on what’s available at shops so hopefully the main game has more loot drops. On a positive note, for an Alpha, the game looks absolutely phenomenal. If this game shipped as is right now, it would already be regarded as having some of the best graphics on next gen systems. It’s striking and something you’ll notice immediately. I can’t wait to see what a few months of polish can really do. The main story quest I was in had me visit a site near the Cosmodrome, populated by an enemy faction known as the Fallen. Your guide, called Ghost (who seems like a Destiny style Guilty Spark from the Halo universe), is voiced by Peter Dinklage who many of you know from Game of Thrones. Moon Wizard controversy aside, the quest didn’t ‘wow’ me as it was a pretty straightforward style ‘go here and kill everything’ leading to a very Halo like plot twist. It wasn’t bad by any means, just lacked a sort of excitement factor. Upon completion, the game took me to The Tower, a combat free zone, pretty much set up as a city where you can buy things, get quests, meet other people, etc. What’s the first thing to do when entering a zone populated by a bunch of other people? Dance party of course! As my character broke out with some sweet dance moves, others came over and joined in. After the party subsided, I walked around the space quickly seeing just how large this place was. After turning in a few quests, getting some new gear and feeling the need to line my pockets with more Glimmer (Destiny’s cross character currency system), I decided to head back to Old Russia to simply explore the world. It’s at this point that something changed. The more time I put into the title, learning about it’s intricacies, the more the game’s ideas and concepts really started to click. Being able to summon my sparrow (a Star Wars looking type of speeder bike) and zoom around this rusted paradise was pretty fun. I began to discover beacons which opened up additional things to do around the world and saw other players helping and fighting enemies in the wild. 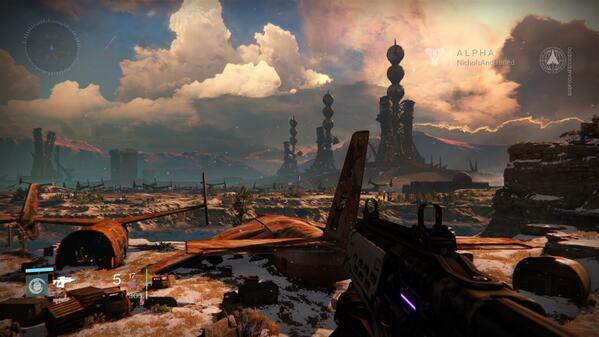 The MMO side of Destiny started to come out and the game opened up as a result. Helping that fun to bubble to the surface are dynamic quests and those beacons I mentioned which are scattered around the world for you to activate. When exploring regions, you’ll sometimes see this pulsating green light. These are essentially quest beacons, giving you things to accomplish around the world. Some are more complex than others, but generally what you’ll find is that they will help you explore more of the world. One of the quests I received was to explore and scan an area that was way off in the distance. It actually surprised me because I was in an area I didn’t even know existed in the alpha. Exploration is at the height of Destiny’s gameplay hook, wondering what’s around corners or inside these abandoned buildings. That’s where the game hooks you. The alpha was far larger than it initially appeared as I stumbled into a brand new area along with enemy mobs that were 4 levels higher than my character. Getting lost in this world is definitely part of the fun. The second element comes in the form of dynamic quests. Detailed at last year’s E3, these are large scale events that dynamically occur on the map. These events are meant for a lot of players and generally provide some excellent loot if you manage to accomplish the objective. Seeing a ship go down and then hearing the crack of gunfire from other guardians in the area as the event seamlessly brings players together is a joy to behold. Simply shooting at the enemy will pull you into the quest, though you can certainly watch from afar if that’s your thing. Destiny is a game that I believe plays better with others. While you can certainly go about it solo, the real magic seems to pour out when playing with other people. 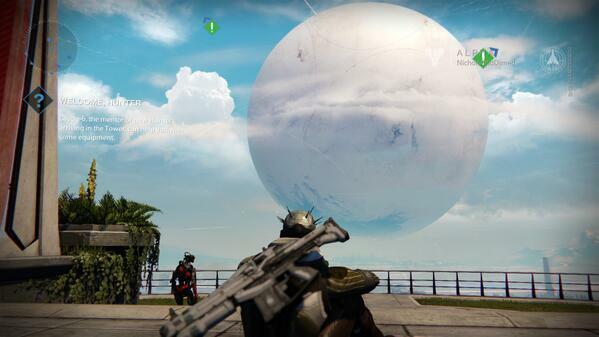 Destiny also seems to be a game that’ll really grow on you over time. Sure, my initial impressions were more negative, but the game won me over and in the end, this was just an extremely small sample of the main game. Even now writing this, I’d love to log back in and explore some more. Did you get a chance to try the alpha? Let me know what you thought of it in the comments below. This entry was posted in Opinion and tagged Opinion, PS4. Bookmark the permalink. I came into the Alpha thinking that I wasn’t going to like it all that much. I’m not normally a fan of open-world and mmo elements like those found in borderlands. However the setting, sense of atmosphere, and sheer amount of exploration won em over as well. even more so, the fact that all of your efforts in the solo/coop modes have direct influence on your PvP experience gave all the wandering, questing, and looting a sense of purpose that they usually so sorely lack in most other games. It all felt connected in way that I’ve never seen before. I came into the Alpha thinking Destiny was just going to be nothing more than a different take on the Borderlands formula (something I’ve never liked), and came out of it a fan eager for the full release. It’s too early to tell whether or not Destiny will deliver on the hype, but it appears to be off to a great start!